The author Gore Vidal once remarked that there was not a single human problem that could not be solved if people did as he advised. As a writer who dabbled in politics, he was wittily expressing a frustration at not being listened to, a frustration that many people feel strongly and somewhat bitterly today: that their voices are simply not being heard by decision-makers and political elites. People are still hurting from the worst economic, financial and social crisis of our lifetimes, and despite a decade of policies, see no end to job uncertainty, high debt, weak pay packets, widening inequalities or new corruption cases. Their frustration has spilled over into politics, driving people apart rather than bringing us closer together. We see the fallout of this in ballot boxes and movements, not just in the US and Europe but on every continent. Many people have lost faith in their public institutions, and in some cases are turning violently against them. Some are also turning their backs on international co-operation, seeing multilateral institutions as part of the problem. The trouble is, while some domestic economic and social difficulties can be dealt with at national and local levels, many challenges simply cannot be solved alone. That is why multilateralism is part —a big part— of the solution. Nevertheless, those of us committed to international co-operation must also listen more carefully to what citizens have to say on the ground. 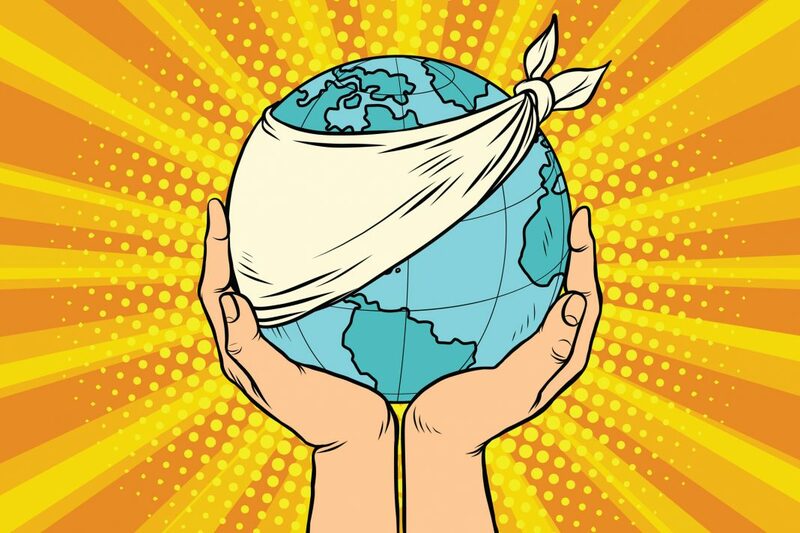 Local and global issues are increasingly connected, and only by listening to each other can we even hope to drive forward and make our world better for all. Crucially, that means updating our institutions, including the multilateral organisations that had become bulwarks against war, from the UN to the Bretton Woods institutions and the OECD. We need to be more effective and responsive to today’s challenges, which increasingly include the threat from zero-sum game unilateral interests. No one should underestimate how serious and dangerous this trend is, for we know that in a divided world we all lose. Undermining or abandoning our institutions would be reckless: what we really need is to improve them and make them fit for purpose. And a great deal of doing so implies listening more closely to the voices of protest, anxiety and pain, so we can understand and tackle their root causes. The year ahead will be a test case for putting international co-operation back on track and fixing multilateralism to make it deliver for everyone. Our world has entered turbulent waters and we urgently need all hands on deck, including our most powerful countries, not just to steady the global economic ship, but to confront a range of urgent challenges, from addressing inequalities and human suffering, to combating international tax evasion, managing the digital transformation and achieving the 2030 Sustainable Development Goals. The year ahead could be a make-or-break year for our planet too, and the OECD will be working hard to help ensure the Paris Climate Agreement is implemented. At the OECD we are known for our evidence-based data and policy expertise, and, through initiatives such as New Approaches to Economic Challenges (NAEC) and Inclusive Growth, we have been working hard at updating analytical frameworks and policy advice to promote more inclusive and sustainable growth. We are becoming better at listening too, thanks to our many forums, outreach activities and communications channels. In May, we will celebrate the 20th anniversary of the OECD Forum, one of the first ever global gatherings to bring concerned citizens and policymakers together. But as we enter 2019, we know we must reach out further and listen more and better to diverse voices. Too many people have been left behind, and we cannot fail them or expect international co-operation to succeed without them. Their views and their stories, just like data, will be essential inputs for shaping together the standards, rules of the game and guidance needed to help us improve our economies, enrich our societies, safeguard our environment and enhance our wellbeing. By listening to each other and working together, there are few problems we cannot solve. By recommitting to a responsible, inclusive and listening multilateral system in 2019, we can build the brighter, safer and happier future we all want for ourselves and for our children. 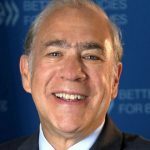 José Ángel Gurría is Secretary-General of the Organization for Economic Co-operation and Development (OECD), currently serving his third five-year mandate.